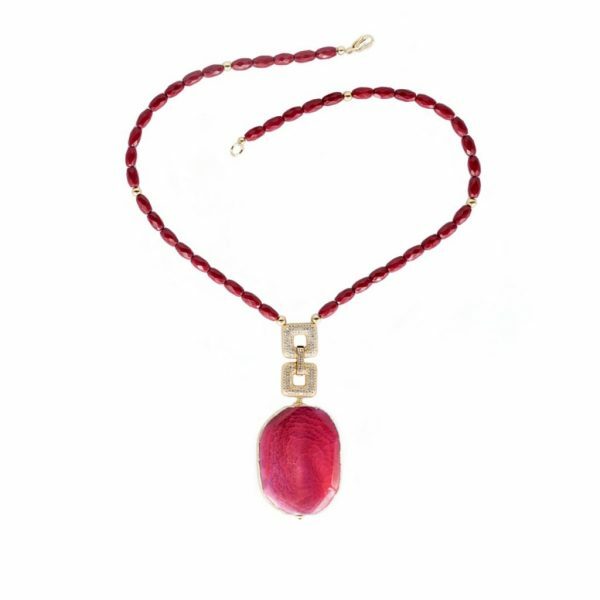 Design necklace / passionate red agate lays this necklace gently around your neck.It is made of red bamboo coral as a necklace and shows a pendant in natural form of a red agate. as a dreamlike and playful detail adorns this extraordinary chain. 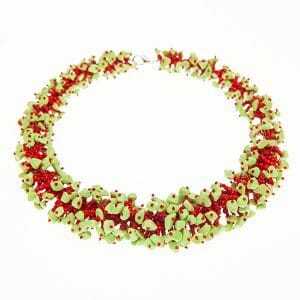 stand out of the crowd with this necklace. Close is gold colored brass with cubic zirconia. 60cm long. 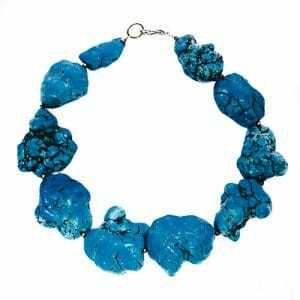 HONG BOCK design necklace / magnesite turquoise (natural shape).